Quality Metal Buildings. Small Town Values. ​Raised on small town values where Honesty, Integrity and Quality are a way of life. Small Town Steel is just what the name says. We are a locally owned and family operated small town business. We were raised on small town values where you treat people like family. We want to help you make your Steel Building vision a reality. We work with other local small town businesses to ensure we provide our customers with the highest standard product. Whether your looking for a Garage, Sheet Metal Roof, Storage Building, Red Iron Metal Building, Lean-To, or Patio Cover we can do it! We use Red Iron I beam and steel for the frame of our buildings. We fab the frame in shop when you order your building which allows us to customize it any way you want. We are a small town steel metal building business that prides ourselves in the work we do. 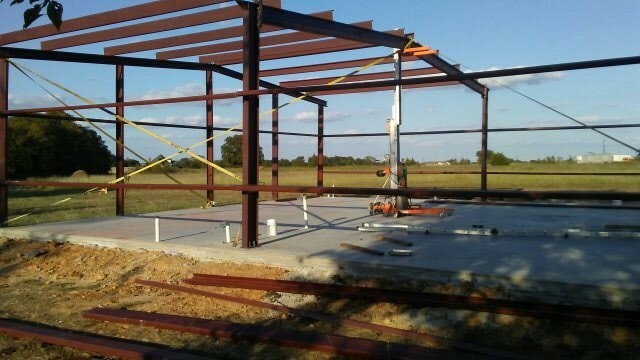 We want to help you in making your vision of a quality built steel metal building come true. We take our work seriously and provide the best quality steel building with a family owned business you can trust. Being a small town family owned and operated business we like to work with other locally owned businesses to provide our customers with the highest quality materials and work at a competitive rate.